I was inspired by a fantastic blog post I read this week from Danielle LaPorte author of The Desire Map (check her out by the way, I LOVE this woman!!!!) and decided to put together my own list. 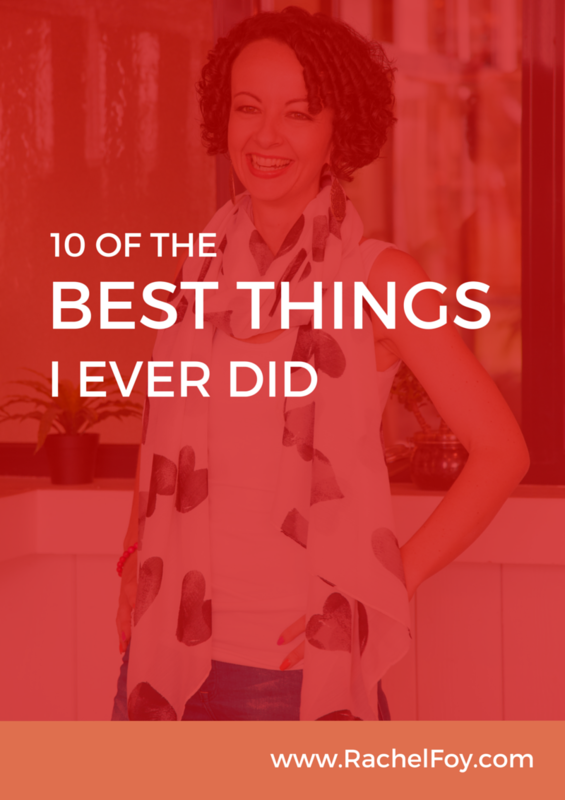 10 of the best things I ever did……. I wasted over a decade of my life counting calories, weighing out food, limiting, banning, restricting and not mixing. I got my life back when I stopped. 2) Accepting my imperfections as being perfect. 3) Drinking proper coffee everyday. I tried to stop once and I turned into a miserable and angry individual. I like coffee. I love coffee actually. It’s not a terrible vice to have BUT I always make sure it’s the best, not the horrible cheap instant stuff. Proper freshly brewed coffee cannot be beaten. It lifts me up and makes my soul smile! 5) Stopped listening to everyone about how to bring up children. I’m not vegetarian, vegan, pescitarian or carnivore (although I have dabbled with all of them in the past) If I want a burger I eat a burger, if I want to eat vegetables all week then I do, if I only want fish that’s fine as well. What’s in a label anyway? It’s irrelevant. 9) Invested in weekly pedicures. How did I live without them?? Especially with people who are not good for me or who don’t respect my boundaries. I can’t please everyone and I no longer try. What are your top 10 things, I’d LOVE to hear from you. Comment below!